The River Liffey rises high on the slopes of Kippure. The name as shown on Discovery map is simply a transliteration of a pronunciation collected locally, but without any clear meaning. It resembles ciop, 'stump' and iúr, 'yew', but 'stump of yew' would be Ciop Iúir. Yew is unlikely to have ever grown near such a high exposed summit, but the name also refers to a townland which descends to the valley, so a connection with yew is not impossible. Kippure is the 73rd highest place in Ireland. 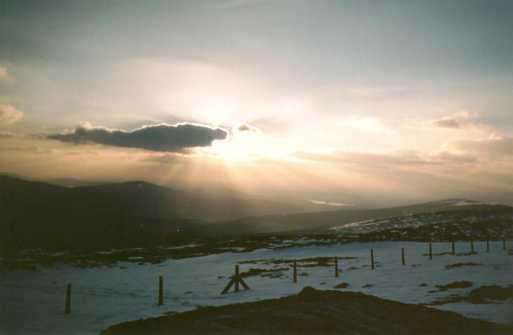 Kippure is the highest point in county Dublin.